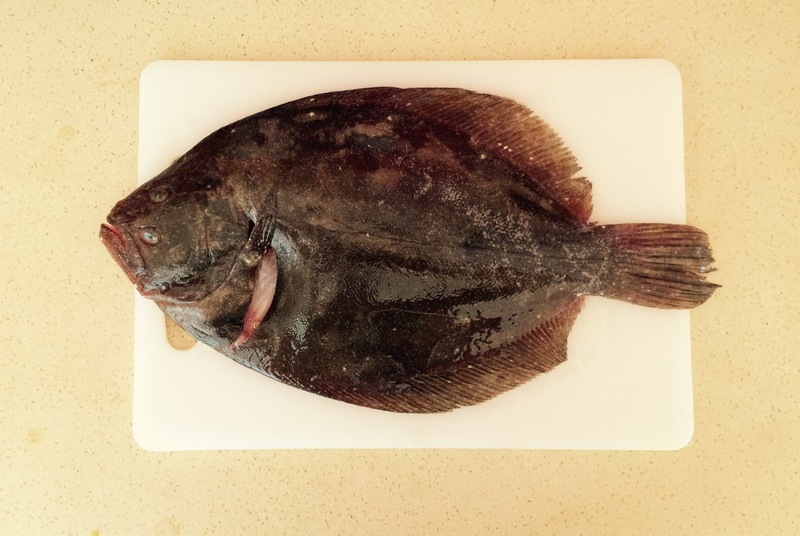 Floundering over plaice names in Spain? 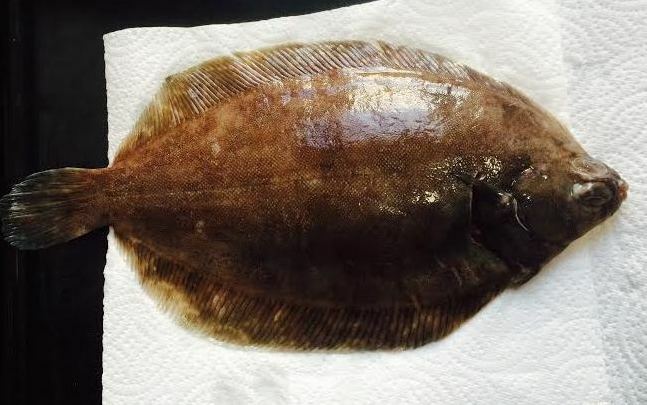 There is a wide variety of flatfish in Spain, many of which are not available in the UK and, to add to any confusion, they have different names in the various regions. Often the Spanish (Castellon) name will not be used and they will have different names in the Basque, Gallician, Catalan and Valencian languages as well as regional names for example in Andalusia or the Balearics. 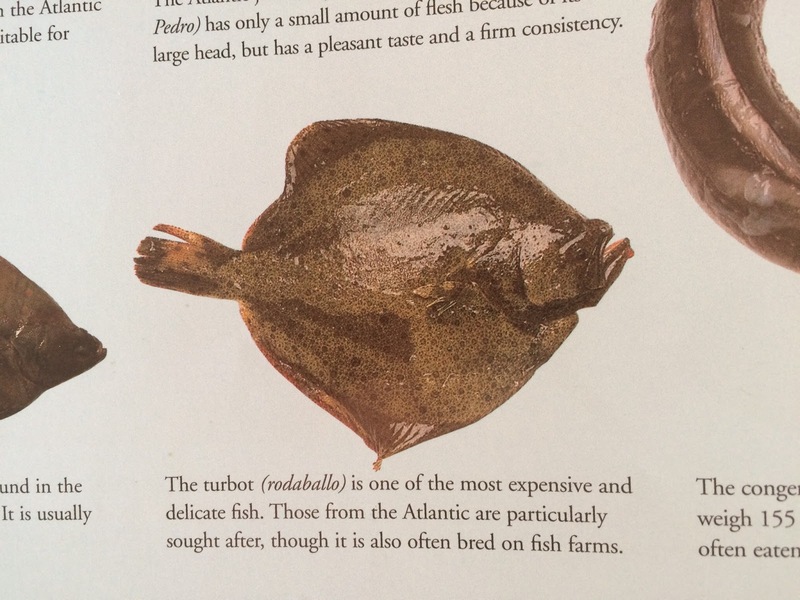 So here I was in a flounder over plaice names, in a state of confusion, not knowing witch fish I was looking at. I consulted some Spanish cookery books – and in reading one got a whiff that something was amiss. It was rather sinister and not quite right – or rather the reverse! There was something wrong with this picture of a turbot which appears to be a mirror image – as it is facing the wrong way! The thing about flatfish is that, although they start out in life like most other fish, with a rounded body and one eye on each side of the head, at some stage, for some reason, they turn on to one side and spend the rest of their lives in this position. Some species turn on to their right side and others to their left. Having done so, they swim along the bottom of the sea on their side and the downside skin becomes paler and paler and the uppermost side changes colour and darkens, often to mimic the surrounding seabed, providing camouflage. At the same time the eye and the nostril on the underside gradually move and migrate to the uppermost side. Species which turn on to their right hand side and have their eyes and nostrils on the left are called Sinistral and if drawn or photographed with the mouth up the right way would be swimming from right to left. Those with their eyes and nostrils on the right are called Dextral and should be pictured swimming left to right. This is how the turbot above should look. brill, and megrim sole (aka whiff or sail-fluke). Dextral flatfish common in the UK include (European) flounder*, Dover sole, Lemon sole, Torbay sole, plaice and dabs. I have seen some references to John Dory and skate as flatfish. They are not. The John Dory has a flattened symmetrical body, with one eye on each side of the head and swims upright. It is often included with true flatfish in cookery books as it can be treated in a similar way. Skate is a member of the ray grouping, which have broad, flat, symmetrical bodies with large “wings”. They live on the seabed and are cartilaginous (ie they have no bones but a skeleton made of cartilage). They are related to the sharks and dogfish. Normally only the wings are eaten. In Spain I have also encountered lenguadina but have been unable to determine what it is (the name appears to be used quite widely to refer to different species). Dictionaries suggest that it is dab but I bought some which resembled megrim sole. Dabs and lemon sole, however, are not found in the Mediterranean and plaice are rare, but may be available in other parts of Spain. I have not encountered witch in Spain - sometimes referred to as Torbay sole in the UK - also known as grey sole (plié grisé in France). The Spanish name appears to be mendo but as I have not seen it in Spain, nor found any reference to it in any books on Spanish or Mediterranean fish, I have not included it, or dabs, in the table below. Halibut are also not found in the Mediterranean. They may venture as far south as the Bay of Biscay but are mostly caught from the south of Ireland northwards but are fairly expensive and not common in Spain. Generally speaking the better quality fish can be pan fried, grilled, roasted or cooked a la plancha (on a griddle) and inferior varieties are better baked with herbs/seasoning, or poached in a court-bouillon. Rather than complicating my directory of fish names further, I have made a separate table for the flatfish and would welcome comments amendments and additions. 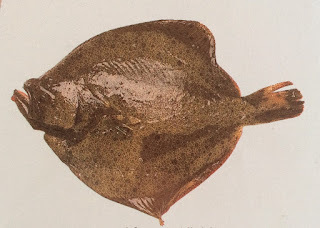 *The European flounder (Platichthys flesus) is usually dextral but it does occur from time to time in sinistral version. 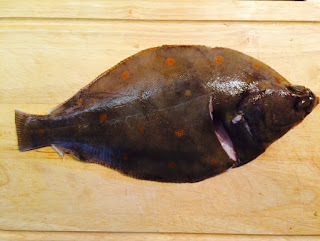 In Spanish waters, however, there are other varieties of sinistral fish called flounder in English, such as spotted flounder, and the wide-eyed flounder. Confused? Try visiting the USA where they call a Sole a Flounder and a Flounder a sole! But that's a wholly different kettle of fish.